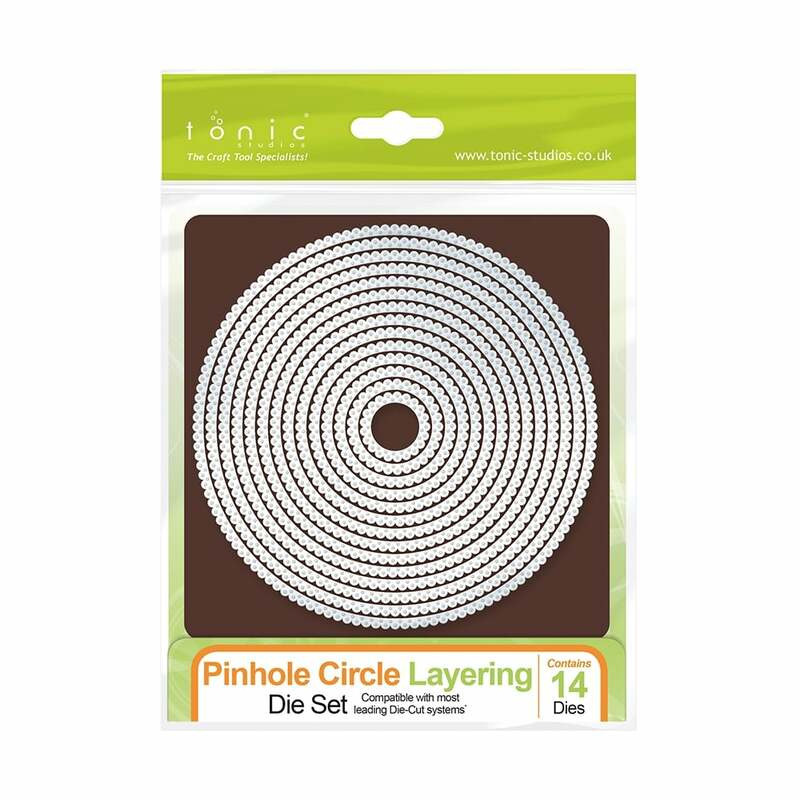 The 14 Pinhole Circle Layering Dies have the centre marked for accurate crafting and supplied on a magnetic sheet. This only cut the pinhole not the circles. The die gives a pinhole cut so you can stitch your cards, the packs comes with a magnetic insert for storage. Die will cut cardstock up to 240gsm. Compatible with most Die Cut machines. The set contains 14 different sized dies, the largest die is 140 x 140mm and the smallest die is 25 x 25mm. A bit about the brand: A Craft Specialist, Tonic Studios have developed ranges in papercrafts that offer affordability, quality and innovation. From scissors to toppers they have a fantastic range of products to help you in your craft projects.